Two-step verification (also known as two-factor authentication, 2FA) is one of the best ways to protect your gaming accounts How to Enable Two-Factor Authentication for Your Gaming Accounts How to Enable Two-Factor Authentication for Your Gaming Accounts Two-factor authentication provides an extra layer of protection for online accounts, and you can easily enable it for your favorite gaming services. Read More in an era where passwords are leaked regularly. The basic idea is that you must have something you know (your password) and something you have (your phone) to log in. There are plenty of services that have offered two-factor authentication for years Lock Down These Services Now With Two-Factor Authentication Lock Down These Services Now With Two-Factor Authentication Two-factor authentication is the smart way to protect your online accounts. Let's take a look at few of the services you can lock-down with better security. Read More , but Sony’s PlayStation service was missing among them, until now. If you’re a PlayStation gamer, you probably know that Sony has had issues on several occasions with account breaches. Because of this, fans have been clamoring for a while now asking Sony to bring 2FA to the service. PlayStation users, do yourself a favor now and set this up to make your account much more secure. To start, visit Sony’s 2FA site and click the Activate Now button. You’ll be asked to sign in again to verify that it’s your account being accessed. Once logged in, click Edit next to the Status field to set up. You’ll be asked to enter a phone number, followed by a text message to that number to ensure that everything is working correctly. Finally, you can sign out of all active sessions on your account if you wish, in order to enforce the new security rules. Be sure to take a minute and print off your backup codes so you’re able to regain access to your account if your phone is lost. If you’re signing into a PS3, PS Vita, or PS TV with 2FA enabled, you won’t be able to sign in correctly. Instead, visit this page again to create a one-time sign-in code for that device. Not a fan of two-factor authentication yet? Check out our tips to make it less irritating Can Two-Step Verification Be Less Irritating? 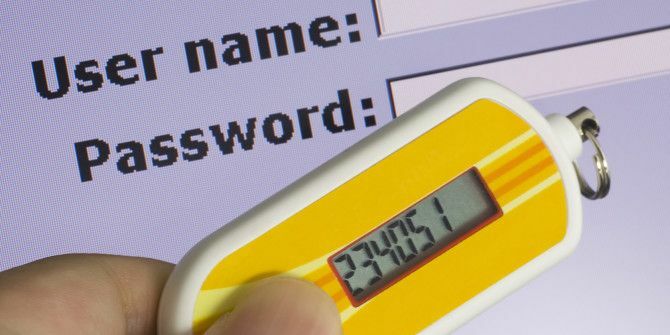 Four Secret Hacks Guaranteed to Improve Security Can Two-Step Verification Be Less Irritating? Four Secret Hacks Guaranteed to Improve Security Do you want bullet-proof account security? I highly suggest enabling what's called "two-factor" authentication. Read More . Will you enable 2FA on your PlayStation account? Let us know if you’re been waiting for this feature in the comments! Explore more about: Online Security, Password, PlayStation, Two-Factor Authentication. Assassin’s Creed Unity Is Free on PC (Temporarily)How Secure Is the Windows App Store?